Eight staff at Hull’s birth centre are embarking on a healthy living mission to lose weight to help men struggling with their mental health. Midwives and midwifery assistants at the Fatima Allam Birth Centre set up the 10-week challenge to lose as much weight as possible during the first 10 weeks of 2019. 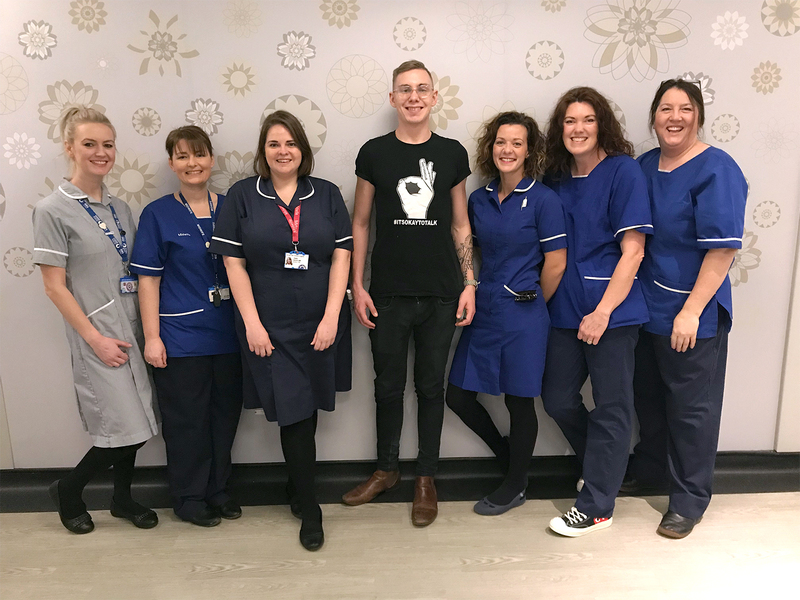 The team at Hull Women and Children’s Hospital is appealing to local businesses to help sponsor them £1 for every pound in weight they lose, splitting all money raised between Andy’s Man Club and the birth centre. Midwife Jo Bennett said: “We spend all day every day supporting women and we thought it would be a good idea to do something for men too. “There’s been a lot of focus recently around men’s mental health and we want to do our bit to raise awareness. Jo has signed up for the challenge with fellow midwives Katie Headlam, Jess Tyler, Samantha Haw, Jenna Wallis and Pam Dean. Midwifery assistants Jane Thompson and Caroline Andrews are also taking part. The team weigh themselves once a week and support each other through their own WhatsApp group. They’ve also set up a Just Giving page and are appealing to the public to support their appeal. A prize will be given to the woman who loses the biggest percentage of her starting body mass at the end of the 10 weeks.